Our School Uniform line is comfortable, durable, well-designed and offers real value-for-money. 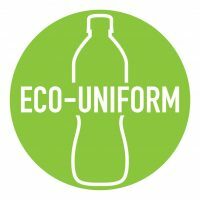 We are proud to be a school uniform supplier with an Eco-Product Line. To make sure you always get the very best we continue to innovate our products adding contemporary design to traditional garments. Our commitment to quality is evident, from our friendly and knowledgeable staff to our stringent quality control standards. Pick up your order at a designated InSchoolwear outlet or get it delivered to your home. InSchoolwear is with you every step of the way. We are more than happy to answer any question you may have regarding school uniforms. Online orders are received at our outlets and processed within 1-4 business days. If the items purchased are in stock, the order is shipped out right away. If the items are not in stock, they are placed on backorder. Backordered items can take between 2-3 weeks to reach our facility, unless it is a custom order. 2. What is a backorder? If an item is not in stock at the time the order is placed, it is placed on backorder. It can take between 2-6 weeks for backordered items to arrive at our facilities. Once the backordered item arrives at the outlet and your order is complete, you will be notified of a shipping date. 3. How much will it cost to ship my order? Orders between $0 and $49.95 cost $8.95 to ship. All orders between $49.96 and $149.95 cost $16.95 to ship. Orders totaling over $149.96 before tax, ship for free. Any unwashed and unworn items can be returned for a full refund within 14 days of purchase. After 14 days, InSchoolwear can provide you with an account credit for the value of the purchase. The credit does not expire and can be used for any purchases made at your designated InSchoolwear outlet. Unfortunately, once an item is worn or altered, it is considered non-refundable. 6. How do I edit my account if the student changes schools? If the student changes schools, you can either send us an email to adjust the existing account, or you can create a new account. To edit an existing account, please send an email to orderdesk@inschoolwear.com listing the account username, the email associated with the account, the current school, and the new school the student is switching to. We will be able to adjust the school for you and you will still have a record of all your previous orders. To create a new account you can use the same email with a new username. When you register the new account you’ll be able to submit the new school code. 7. How do I shop for more than one school? To ensure the accuracy of all online orders, each account can only be connected to one school. To shop for multiple schools, all you need to do is create a separate account for each school. You can use the same email address when creating additional accounts with a new username. 8. Do I need to make an appointment to shop for my uniform? 10. When should I shop for back-to-school? Unwashed and unworn clothing purchased in June and July can be exchanged until September 30th. 11. How should I wash and care for the uniform pieces? Most of our clothing is machine washable. Blazers and ties are the only items that need to be dry-cleaned. Please also note that any clothing made of fleece may shrink. To avoid shrinking, we recommend washing in cold water and hanging the pieces to dry. If you would rather collect your order from your school’s designated InSchoolwear store location, please select “pick-up” at check out. You will receive an email notification or a phone call to let you know as soon as the order is ready to be picked up.